Since its founding in 1902, when George A. Archer and John W. Daniels started a linseed crushing business—and later (in 1923) acquired the Midland Linseed Products Company—the company that is today known as Archer Daniels Midland (NYSE: ADM) has grown to a global powerhouse, with some 32,000 employees serving customers in 160 countries. Today, from its Chicago headquarters, the company that calls itself “The biggest little company out there,” operates 500 crop procurement locations, 250 ingredient manufacturing facilities, 38 innovation centers, and the world’s premier crop transportation network. In early 2017, for the ninth consecutive year, Fortune magazine named ADM one of the most admired food production companies. Ranked #41 on the Fortune 500 list, ADM reported annual revenues of $67.7 billion. 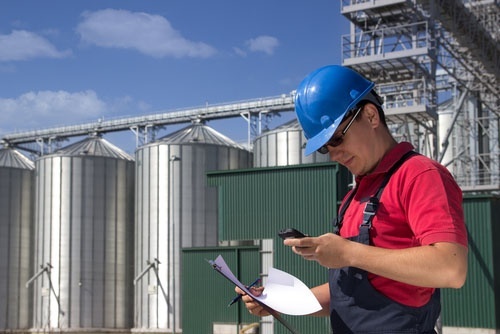 With its worldwide transportation network and more than 265 locations, ADM places a high value on communications and staying connected (“Everything we do starts with you”), connecting the farmers from whom it buys crops to the marketplace. For this reason, when ADM was looking for a company with the ability to support a broad range of Avaya systems—from old to new, in wide-ranging geographies—it turned to the company with more Avaya expertise than anyone outside of Avaya: Continuant. What ADM needed was a company to manage their entire Avaya infrastructure so that they could focus on their own business planning. They found what they were looking for in Continuant. Today, Continuant delivers superior maintenance and support for some 20,000 Avaya users at ADM, with more slated to be added in Europe and South America. At the same, time, Continuant is talking with ADM about helping them move to the Cloud. They already have Microsoft Skype for Business at their Chicago headquarters and are starting to migrate to MS in other locations.